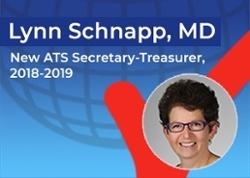 Dr. Schnapp will begin her term on Tuesday, May 22 at the Plenary session during the ATS 2018 International Conference. In the early morning of March 23, Congress passed a $1.3 trillion FY2018 omnibus government spending package that includes a $3 billion funding increase for the NIH — a victory for biomedical research and the ATS! The bill also provides the CDC with a $840 million increase, as well as a significant $20 million funding increase for USAID’s global TB program. It was successfully passed without policy riders, such as those that would have exempted tobacco products including flavored cigars from FDA regulation and delayed or weakened some clean air standards. The Senate passed the bill by a vote of 65 – 32, following a House vote of 256 – 167. Although President Trump tweeted that he was considering vetoing the omnibus because it did not include a “DACA” fix and enough border wall funding, he signed it into law later that day. Read more. In a Journal of Intensive Care Medicine article, The Top Ten Websites in Critical Care Medicine Education Today, published March 8, 2018, the ATS’s main website, www.thoracic.org, was recognized as among the top 10 websites for critical care medicine education. As the number of websites offering clinical care information has increased, the study sought to evaluate websites using a new assessment tool, the Critical Care Medical Education Website Quality Evaluation Tool. 3-8-18 Out of the Blue: Do Borderline Pulmonary Artery Pressures Predict Mortality?